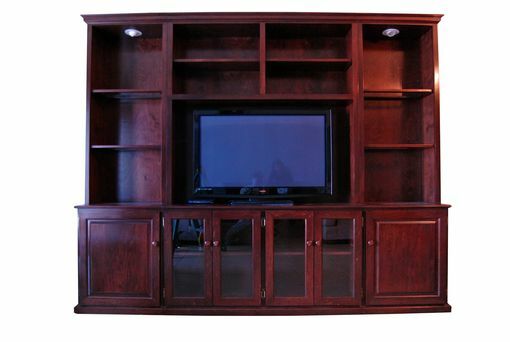 This custom free standing entertainment center comes in a stepback form. Meaning that the top open shelves are 12" deep and the lower closed shelves are 16.5" deep. It's great for holding books and display objects on the top shelves and media consoles and board games in the covered deeper shelves. As with all of our pieces, everything can be built according to your specifications.